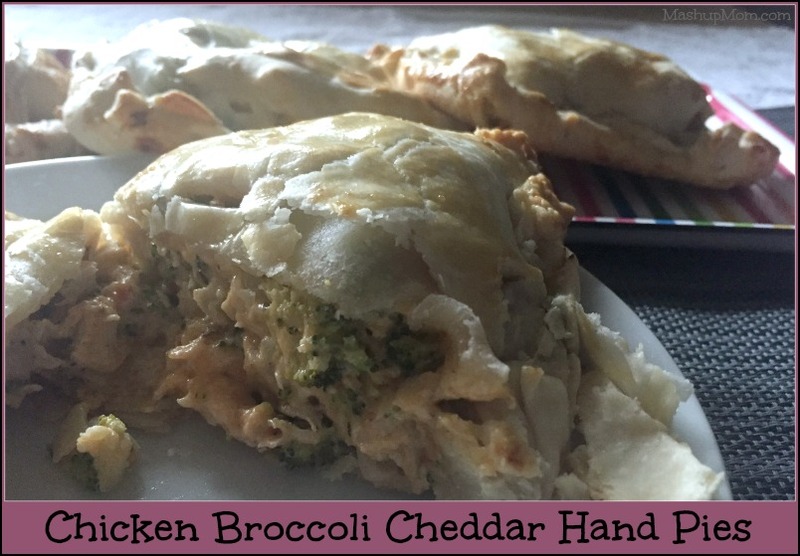 Chicken Broccoli Cheddar Hand Pies -- Or make 'em with leftover turkey! Chicken Broccoli Cheddar Hand Pies — Or make ’em with leftover turkey! So instead, I thought I’d just make up my own hand pies using ingredients from my refrigerator. Winner, winner, chicken hand pie dinner! This here is an completely unapologetic comfort food recipe, because it’s raining, it’s cold, the trees are getting bare already, and it was just that kind of day around here. Perhaps (as I did…) you wasted some of your misspent youth eating Hot Pockets? These chicken broccoli cheddar hand pies are kind of like those, but taken to a whole. other. level. — and without the weird chemical aftertaste. You could even make these slightly better by making your own pie crust, but I took the easy way out by using refrigerated. Comfort food mission, accomplished! Add olive oil to a large skillet and heat it over medium heat until shimmering. Add onion and cook for two minutes. Add broccoli florets, garlic, and crushed red pepper, then saute for about five more minutes, until broccoli is bright green and crisp-tender. Meanwhile, combine cream cheese, cheddar cheese, chicken, sea salt, black pepper, paprika, and thyme in a large bowl, then stir in the broccoli once it is cooked. Spoon equal amounts of the chicken/broccoli mixture into the center of half of the pie crust wedges, and top each with a second matching wedge. 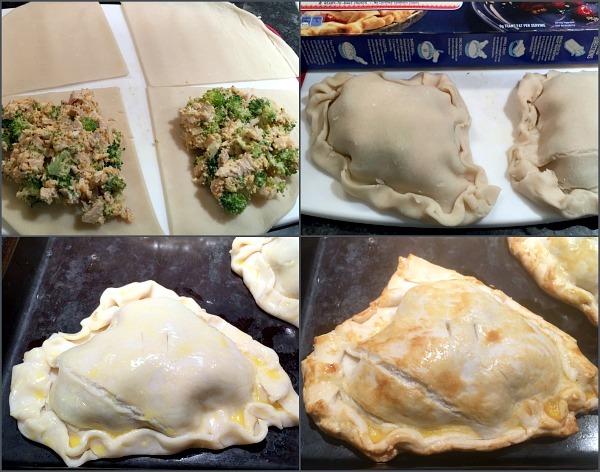 Fold the edges over on each and crimp them together so that the filling doesn’t leak out, then arrange the hand pies on a rimmed baking sheet. Beat one egg with 1 tsp water to make an egg wash. Brush each hand pie with the egg wash, and cut a couple of small slits in the top of each to let steam escape. Bake for 20 minutes at 400 degrees, or until hand pies are golden brown. Note: I cut my pie crusts into quarters, which were big for one person — I’d suggest going with sixths instead, and therefore am calling this a recipe that serves six. You can also cut the crusts into eighths to make 8 smaller hand pies, especially if you’re serving kids. 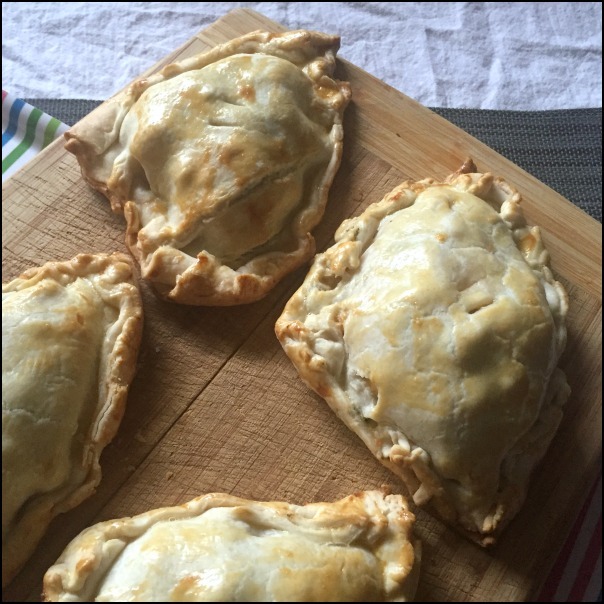 Hand Pies… Hand Pies… Hand Pies — Eat those crazy hand pies! What a great way to use up leftover cooked chicken! 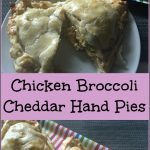 These chicken broccoli cheddar hand pies are super filling and super comforting on a cool fall day, and have a lot going on with their creamy cheesy filling, chewy chicken & broccoli, and flaky pie crust. Since hand pies are on the heavier side, I suggest just serving them with fruit or a simple green salad for a complete meal. Perhaps (as I did...) you wasted some of your misspent youth eating Hot Pockets? These chicken broccoli cheddar hand pies are kind of like those, but taken to a whole. other. level. -- and without the weird chemical aftertaste. 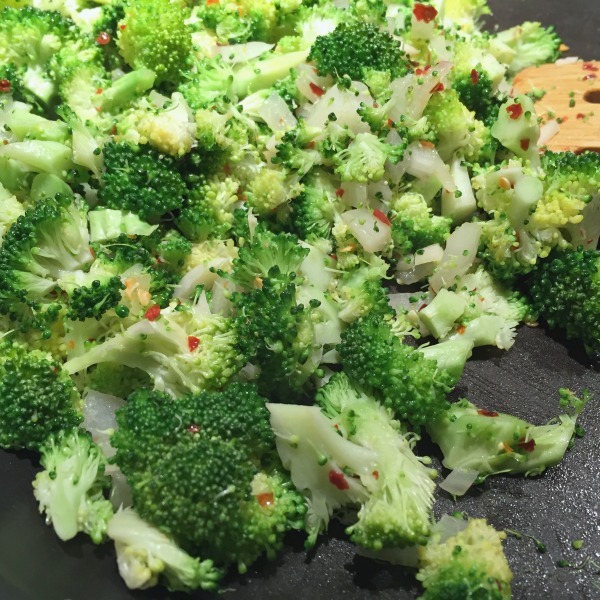 Add broccoli florets, garlic, and crushed red pepper, then saute for about five more minutes, until broccoli is bright green and crisp-tender. Unroll the pie crusts and cut each into 4-8 equal wedges, so that you have 8-16 pieces total between the two crusts. Spoon equal amounts of the chicken/broccoli mixture into the center of half of the pie crust wedges, and top each with a second matching wedge. Fold the edges over on each and crimp them together so that the filling doesn't leak out, then arrange the hand pies on a rimmed baking sheet. Beat one egg with 1 tsp water to make an egg wash. Brush each hand pie with the egg wash, and cut a couple of small slits in the top of each to let steam escape. I cut my pie crusts into quarters, which were big for one person -- I'd suggest going with sixths instead, and therefore am calling this a recipe that serves six. You can also cut the crusts into eighths to make 8 smaller hand pies, especially if you're serving kids. Just a quick note — cut each crust in a “Y” and fold it over on itself, so you have one less side to crimp. What a way to get your carbs and protein at the same time. Yes, the portion does look big. I would definitely would have to cut them in smaller pieces. Great idea for a quick dinner. Would you suggest freezing any extra pies before or after they’re baked? I think it would work either way. If you’re freezing unbaked I’d wait to add the egg wash until you’re ready to bake, then add extra cook time to cook from frozen. Similar to the Y suggestion, I just cut them in half with the pizza cutter, folded them over and crimped with a fork. Really yummy and made great leftovers for lunch! This would make a great after Thanksgiving idea too with Turkey, and some of the sides! Yum!